How to Save Webpage as PDF in IE? When you want to save the information on a website, such as Online bank statement, or a list of purchases from the online shop, you may find it useful to save the Web page as a portable document format. Modern Internet browsers allows you to save web pages as HTML, but saving a web page as a PDF file is much more stable and much more portable. This article will show you the detailed steps. Step One: Find the webpage you want to save in IE and click “ Page Setup” in print menu. 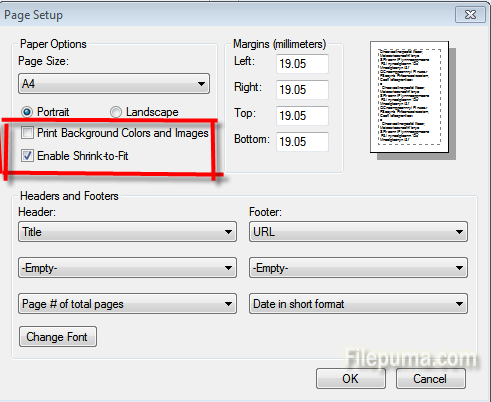 Step Two: In the page setup window, check “Print Background Colors and Images” and “Enable Shrink-to-Fit”. Click “OK” to apply the change. Step Three: Click “Print” in Internet Explorer Print menu. 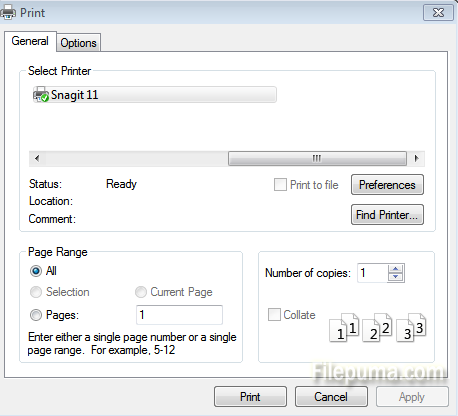 Select the printer you have installed and click “Print” to save web page as PDF.